Benchmark results for iPad Air 2 have shown that Apple's new tablet is a lot more powerful than we first thought. When Apple announced the iPad Air 2 last week it was typically vague on specifics about the hardware inside its new tablet, though it did disclose that it would be running a new A8X processor. While we thought that the iPad Air 2 would be more powerful than last year's iPad Air, we didn't know by how much. Now we do. A series of benchmark tests published by iPhoneBenchmark apparently show just how powerful the iPad Air 2 is, as well as giving us further details about the hardware inside the tablet. Benchmarks are a series of tests that put components under considerable stress to see how well they cope. Whilst benchmarks rarely replicate real-world use, they can be a good indicator of how powerful devices can be. In iPhoneBenchmark's tests the iPad Air 2 (which in the tests is referred to as "iPad5,4") scores a very impressive 69,059. In contrast the iPhone 6 scored 44,299 and the iPad Air scored 37,868. According to the benchmark this makes the iPad Air 2 easily the most powerful mobile device Apple has created. Even more interestingly the benchmarks claim that the iPad Air 2 includes a triple-core processor, rather than dual-core. Another test by iPhoneBenchmark confirms that the iPad Air 2 includes 2GB of RAM. Rumours had been swirling that the iPad Air 2 would get a memory boost, but with the iPhone 6 and iPhone 6 Plus shipping with just 1GB of RAM, whether or not the iPad Air 2 would stick with just 1GB wasn't clear. 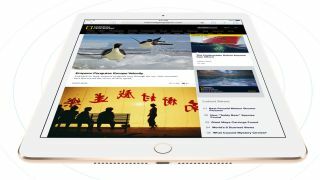 Benchmark results posted by Geekbench correspond with iPhoneBenchmark's findings, with similarly impressive results for the iPad Air 2. The results also confirm that the A8X processor has three cores with clock speeds of 1.50GHz, as well as 2GB of RAM.